ニューヨーク銀日足。上昇トレンドの兆し/NY silver daily market. The chart whisper bull market may come. Today, we introduce the chart unique character. 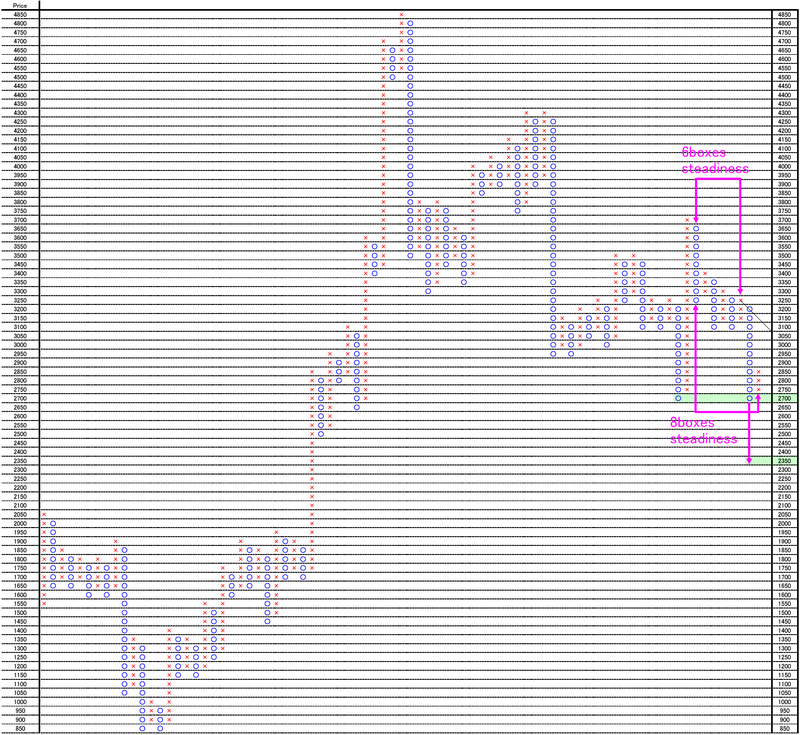 When we view the A point (This is the price cutting point. ), this often suggests the future NY silver trend. The other is pink pennant. The price cutting suddenly point often becomes trend starting point. Applying the recent market, we can reach these conclusions. 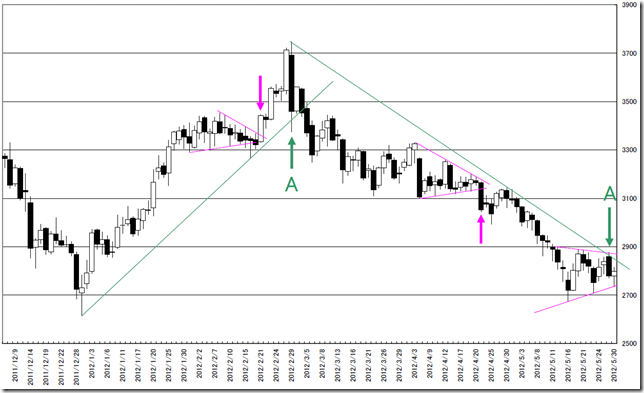 The market price had once cut the trend line upper side. 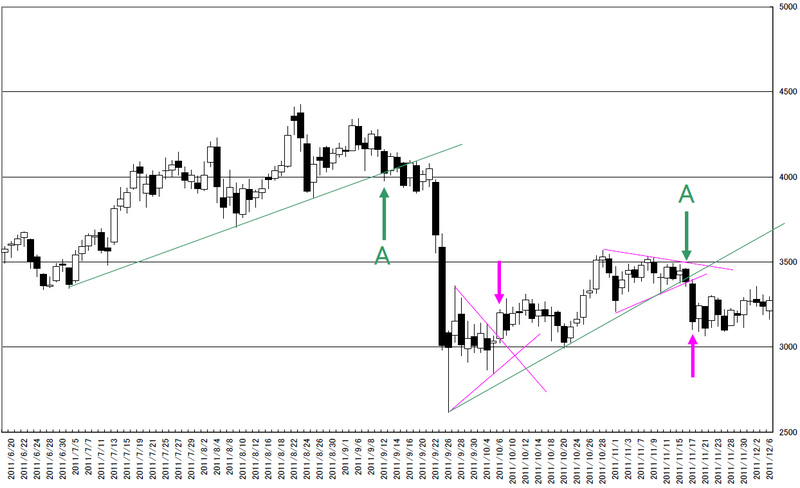 The market went into the pennant formation and waiting for the trend. 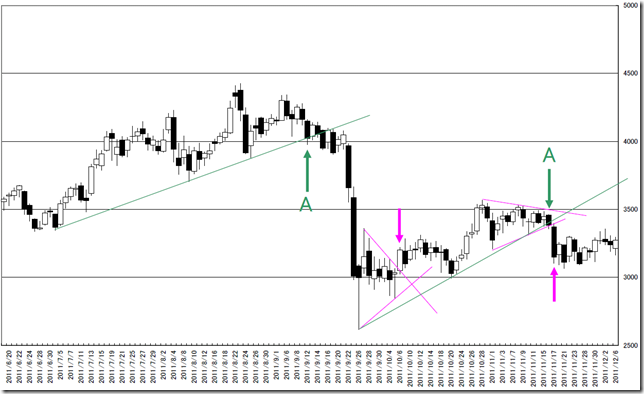 When we take account of the market price had already cut the upper side, this may imply the future bull trend. The market price forms double dip. We think this may become market reversal. 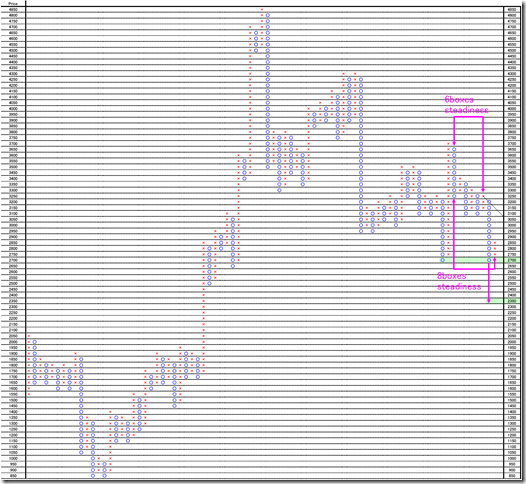 On the other hand, if the market price may cut 2700point, the target price is 2350 point around; this is from 6boxes steadiness and 18 boxes move. 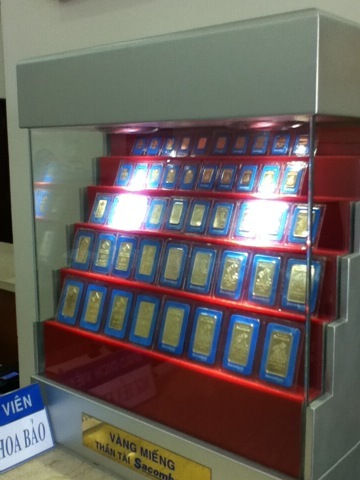 ホーチミンシティで金地金を買う/We bought Gold bar in Ho Chi Minh City. We went back to cool Sapporo city. 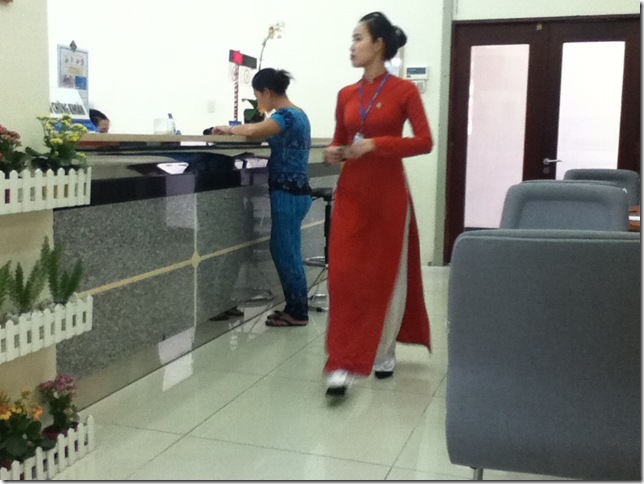 We stayed in Ho Chi Minh City form 05/25/2012 to 05/29/2012. What we saw and what we heard was very exciting and lovely. 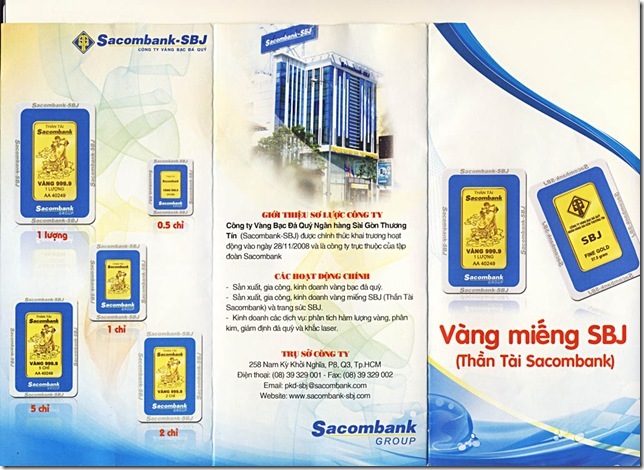 We got a 999.9 gold bar in Sacombank (http://www.sacombank.com.vn) Vietnam. 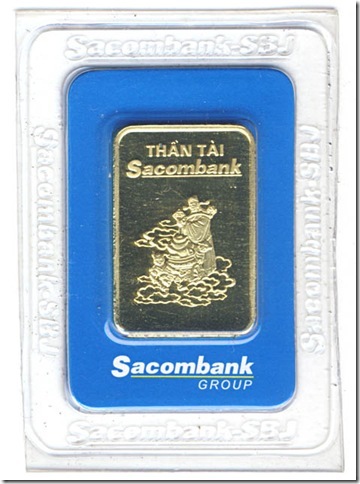 This gold bar weights 1chi (3.75gram) and is signed Sacombank. In the dictionary, “Chỉ” pronunciation means “solitary thing”. 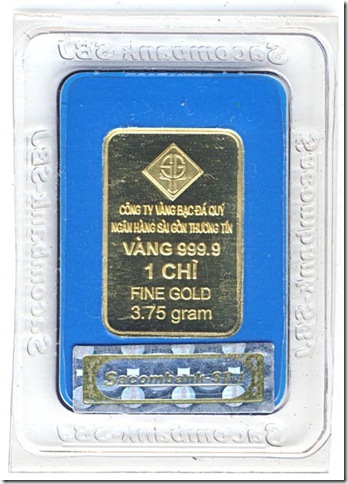 We got the minimum unit 1 chi gold bar. The place to obtain is the head office of Sacombank. The gold price of “Tanaka Kikinzoku” (Japanese poplar gold seller) is 4280yen. The yahoo USDJPY price is 79.40yen at that time and adding 1 yen is 80.40yen. And the conclusion is 4280*3.75/80.40=199.62USD. It is said that Vietnam government regulate gold dealings in present. This gold bar may become a recycle gold price in Vietnam. We do not see the Bank of Tokyo-Mitsubishi UFJ gold bar and JPMorgan Chase gold bar. 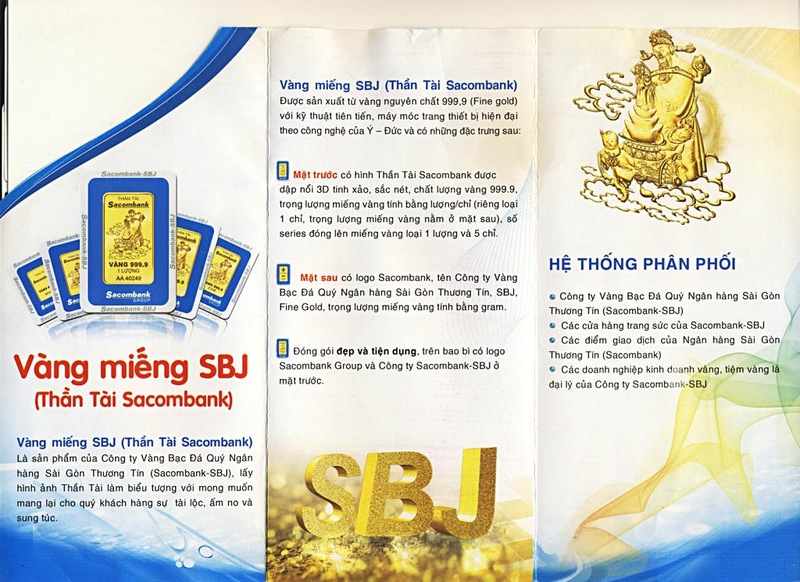 And when we consider the meaning of it, we might understand the Vietnamese’s meaning of the gold.